On 26 October 2018, Ms. Tanya McRae, Director for Dental Installations (Australia) Pty Ltd., was elected as the Australian Dental Industry Association’s (ADIA) National President for a two-year term. ADIA is the peak business organisation representing manufacturers and suppliers of innovative dental products. Ms McRae has been involved with the ADIA for some time now as the past New South Wales Branch President and is currently a Board Member and Committee member of the ADIA-TCPC Trade and Commercial Policy Committee. Reaffirming Ms McRae’s passion for the dental industry, she said she is pleased to be able to serve the industry and association in a greater capacity. Ms. McRae further explained the collective focus of the association will be on providing infrastructures that allow the member’s businesses to grow, create jobs and operate sustainably. Currently, Ms McRae looks forward to working with the immediate past Present, Mr Phil Jolly, with regards to the 2016-20 ADIA Strategic Plan. She clarified the Plan includes a raised awareness of the new and innovative patient treatment pathways that the dental industry offers Australia’s oral health community. 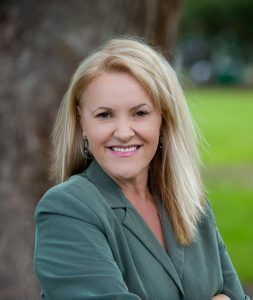 Experienced in the areas of financial management, strategic planning and change management, Ms McRae is uniquely positioned to understand the interests of small businesses in the sector. Aside from being the Director at Dental Installations since 2008, her previous experiences include management roles at Bytecraft Systems (NSW) Pty Ltd from 2001-07 and as a project manager with Aristocrat Australia from 2000-01.